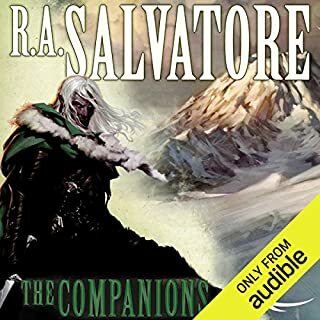 In the 2nd book of the multi-author Sundering series launched by New York Times best-selling author R.A. Salvatore, the shadow legacy of Erevis Cale lives on even as his old foe Mephistopheles seeks to stamp it out at any cost. Cale’s son Vasen - unmoored in time by the god Mask - has thus far been shielded from the archdevil’s dark schemes, alone among the servants of the Lord of Light who have raised him since birth. 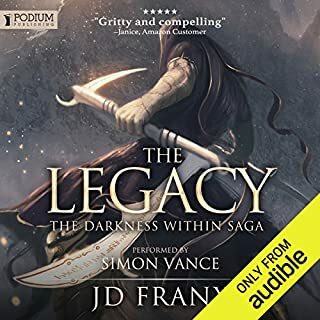 Living in a remote abbey nestled among the Thunder Peaks of Sembia, Vasen is haunted by dreams of his father, trapped in the frozen hell of Cania. He knows the day will come when he must assume his role in the divine drama unfolding across Faern. But Vasen knows not what that role should be...or whether he is ready to take it on. He only knows what his father tells him in dreams - that he must not fail. 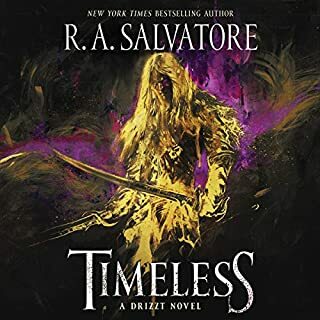 Enter Drasek Riven, a former compatriot of Erevis Cale, now near divine and haunted by dreams of his own - he too knows the time to act is near. Shar, the great goddess of darkness, looks to cast her shadow on the world forever. Riven has glimpsed the cycle of night she hopes to complete, and he knows she must be stopped. Good fun book as it stands, and it's a chance to catch up with all your old friends if you've been following the series, but, and I might be turning into an old fuddy-duddy here, it's a bit like a superhero film where the important characters are able to absorb such massive amounts of damage that the effort required to really hurt them is bordering on the tedious, and as a reader I'm not entirely sure as to the level of danger they're in. There could really have been fewer 'groaning in pain' descriptions and more 'clever stuff' going on. You'd think followers of Mask would be going around being nasty little clever-cloggses - and to be fair there is a meta-element of that, but not on any really visceral - HAHA, You weren't expecting that, were you! - level. As it stands the 'Good' protags are very good, the 'Evil' protags are only slightly less in your face good, and the real bad guys are nihilistically evil, rather than Hannibal Lecter, saute your mum and have her on cheese and crackers evil, or even crash the world economy evil. Bottom line, fun romp, but a little one dimensional as a book - which is odd given that there are at least three in the story. 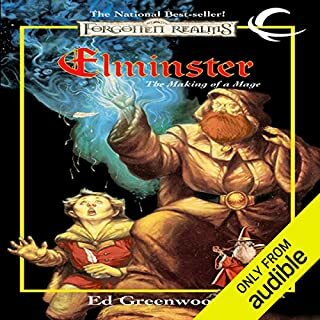 For some reason a southern accent just doesn't work for a fantasy book. I'll put up with it for other types of books maybe, but this just didn't work. 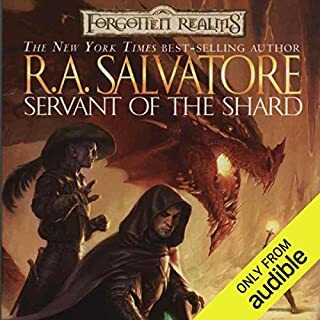 Being a Forgotten Realms fan for a long time I couldn't wait for the books in this series to come out. I miss the old gods like Mask and Mystra and their Chosen. 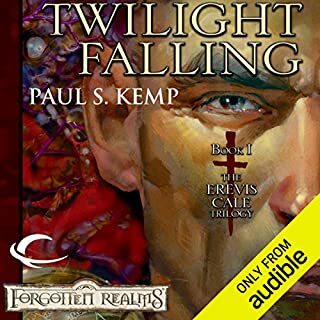 I especially like all of the Earvis Cale books. 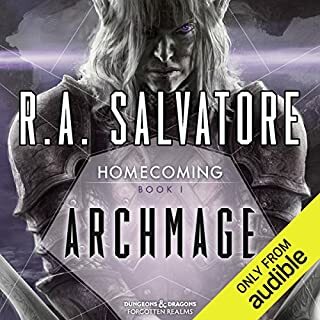 I was excited to hear that Mags and Drasek Riven would be back but maybe I was expecting too much and raised the bar so high in my mind that no story could measure up? I don't know but I have to be honest. I was a little disappointed in some parts of the story. The two twisted and cursed brothers? I just didn't understand why they were featured so prominently. I listened at 1.5 times normal speed to get past their blathering nonsense like "We do this and the Head Devil of the 8th Hell Mephostopholis, he will keep his promise and remove this curse, bla bla bla". A king of the Hells keeping his word? A child would know better. I'm going to try and stay away from Spoilers but Magaden wasn't involved in the story very much. His contacting the Source, a huge event in the past, is treated as being as trivial as making a sandwich. In the end, I thought a book with Mags, Drasek, and Cale would keep me at the edge of my seat. I'm sorry to say it didn't. 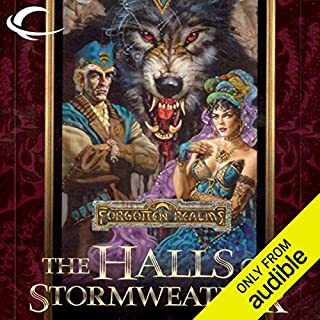 I am glad to see some of the events that happened in this book (I won't go into detail to keep this Spoiler Free) so I do not regret reading it. I do wish it had kept me more....well, on the edge of my seat the way the older Cale/Drasek/Mags/Jack/Mask stories once did. 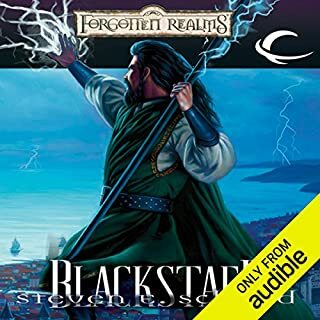 If there was a half star I'd have given the Story 2.5 stars but since there is not, because I am such a Forgotten Realms fan I'll give this story the benefit of rounding up to 3 stars. 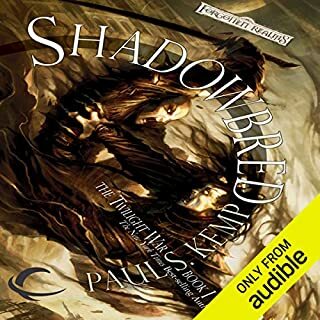 I’m not really sure where this book was in the Sundering series. The storyline was good and it moved quite well. 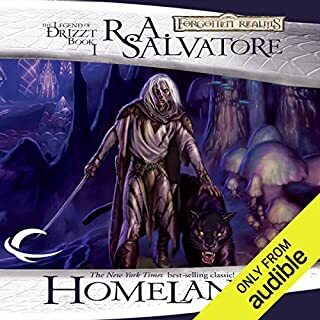 However, I have absolutely no clue how it ties into the storyline R. A. Salvatore started. I guess the death of a God and the birth of a new one might help end the Spell Plague, but I’m not sure. 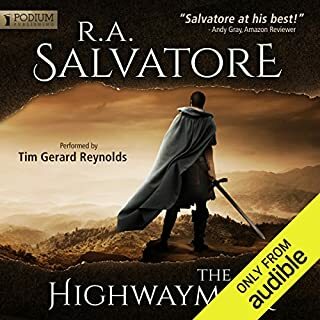 I did like the story and the flow. The character development was good, but the backstory was severely lacking! Combined with names being too similar took away from the story. Big battles and big emotions. 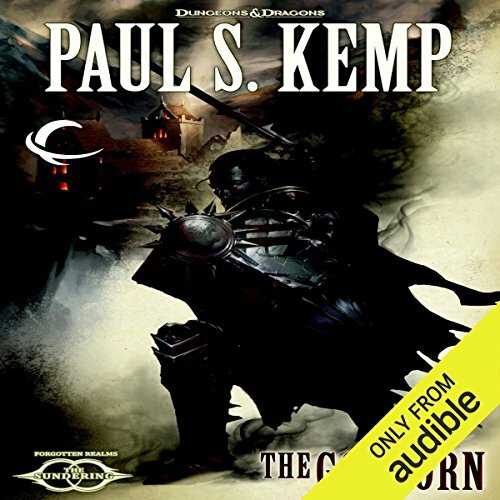 'The Godborn' mainly presents the reader with a Larger Than Fantasy-Life story, sending armies of mighty beings against one another for the sake of the planet itself. Everything about this book can just be summorized as BIG. your bitterness is sweet to the lady!